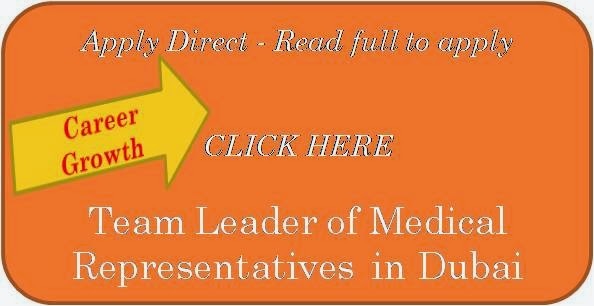 A pharmaceutical distributor in Dubai, seeking a Team Leader for Medical sales Representative as mentioned in their website. This organization is well renowned for its standard operations in the field of marketing various kinds of imported registered medical and non registered medical items. The sales department of this organization is well aided and supported by sophisticated administrative arrangements paralleled by other departments as well. We feel that being a team leader of medical representatives is an excellent career opportunity for a Pharmacist.